Childs, Hamilton. Syracuse: Syracuse Journal, 1868. Foldout. Historical Maps Formation of the towns and city 1806-1896. Village and place names. 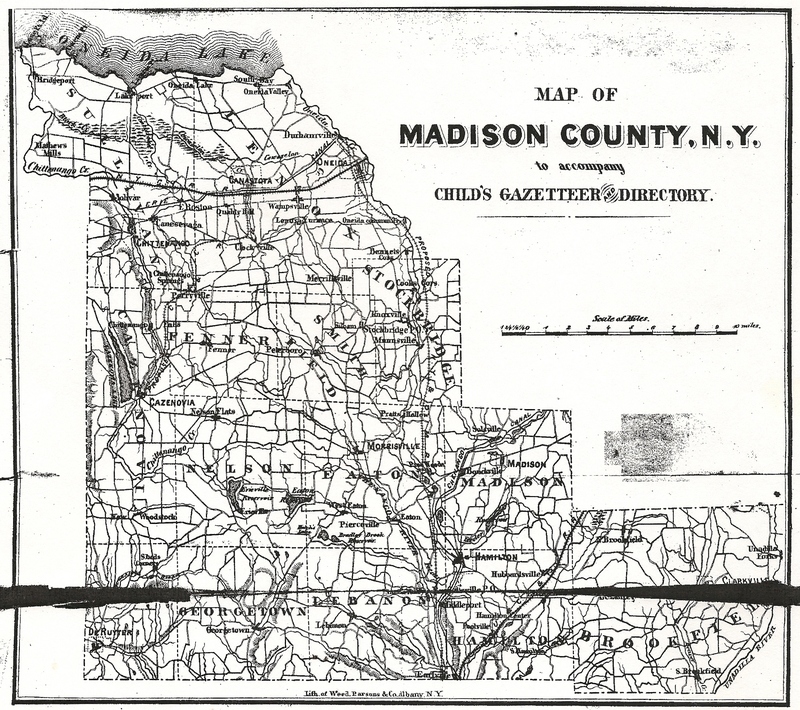 Reprinted from Country Roads, Madison County's Heritage: A Resource for the Future , Madison County Planning Board, Wampsville, New York, July 1976. 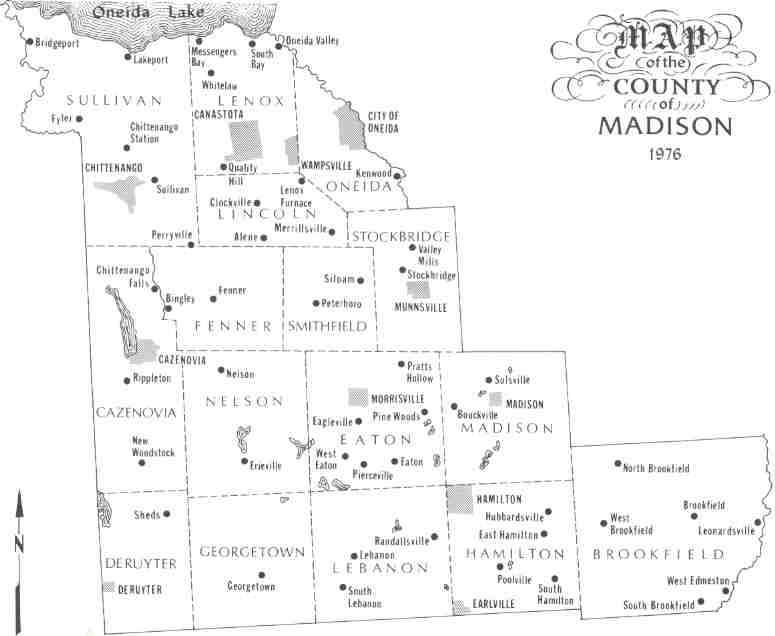 Madison County Map - Current map of towns, villages and hamlets. The "1802 Purchase" was made by the State from the Oneida Indians and comprised 46 lots. This purchase was bounded on the west by the "Two-Mile Strip," purchased in 1798; on the north by the "Seneca Turnpike Lots," purchased also in 1798; on the east by the Oneida Indian reservation. A strip off this reservation, adjoining the "Purchase of 1802" was purchased in 1817. From W. H. Tuttle's Notes . See also William H. Tuttle's History of the "Purchase of 1802." Located in the Town of Lenox, Wampsville was designated the county seat of Madison County in 1910. Wampsville beginnings are traced to a tavern built by Myndert Wemple along the Seneca Turnpike, a well traveled road which brought settlers to the northern half of Madison County. The settlement of Wemplesville later became Wampsville. Settlements along the Hudson, Mohawk and Schoharie Rivers.